Leigh Olson: This is The Heritage Cookbook Project podcast where we connect with cooks across the country to talk about food memories and family recipes and learn just a little bit more about one another. And I’m your host, Leigh Olson. Jenni Field: My name is Jenni Field. I am a food blogger and a recipe developer and a connector of people. 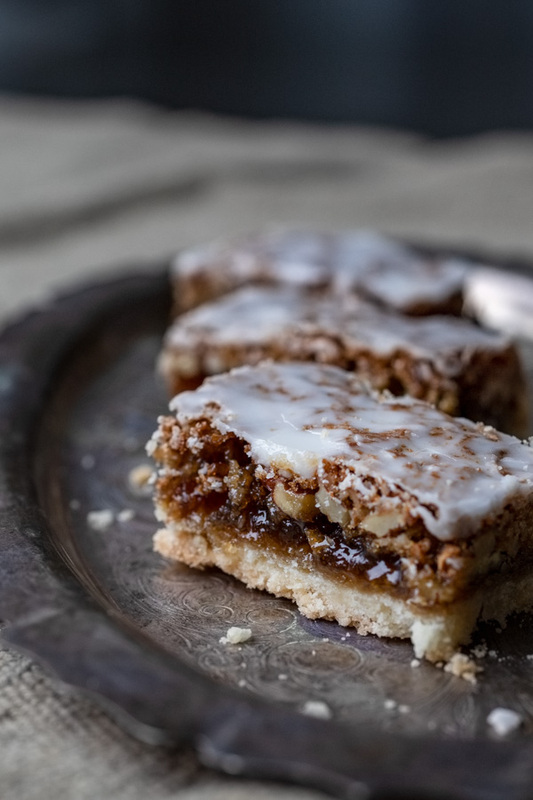 Leigh Olson: During my chat with Jenni about Angel Slices, I learned how patience can lead to bright white icing, how altering a recipe can inadvertently strip us of a memory that connects us to someone. Why the original Joy of Cooking has a woman fighting a dragon on the cover. And how a favorite pastry can make a small child brave. Leigh Olson: This is not a cookbook that I owned and I was surprised that I did not have this in my library, but I have fixed that. Leigh Olson: I went out yesterday and got the 1964 edition, which is, it’s littered with other clippings that the original owner kept in there, which I always love when I find cookbooks like that. And I also bought a facsimile of the first edition. Jenni Field: I bet that’s pretty cool. Leigh Olson: It’s really cool. And what’s really very interesting is the cover art, which is a woman who looks like she’s beating back a dragon. Leigh Olson: I’m going to have to figure out what that’s all about. Jenni Field: That is very interesting. But I firmly believe nobody should really own a brand new copy of joy. I think that you should always find a used copy that has been loved by somebody else. I love that yours has a bunch of clippings in it. Leigh Olson: Yeah, it’s really beautiful. This was a recipe that your mom and grandmother made, is that correct? Jenni Field: Um, my mom and my Auntie Ev, Aunitu Ev would make them and her, she cut very, very small and they were very precisely cut and the icing was like bright white on top of them. And mom’s, they weren’t cut quite so precisely. The icing wasn’t quite as white. And uncle ray used to always tease her and say that she wouldn’t wait until the bars had cooled completely. And he’s like, “you just need to be more patient Jane.” So they would always like tease each other about whose Angel Slices for the prettiest. Leigh Olson: So that was one of my questions because I found a recipe that was very similar to this and we talked a little bit about this offline that’s called a Danish Pastry. And when I was making them, because this was a handwritten recipe, um, there’s just enough information on there so that you know what the recipe is. But those super secret tricks about when to frost and when not to frost. And I wasn’t sure on mine, I’m like, I don’t know if I’m supposed to let this cool or if I’m supposed to pour this icing over it. Jenni Field: Right. And people just assume like, I’m just going to write it down really fast for you and you can ask me if you have any questions. And then that person eventually is no longer there and you have no one to ask, so. Leigh Olson: Exactly. And that’s been one of the fun things looking at these old recipes from recipe boxes is that there was an assumption that people knew these specific tasks that apparently the cook always knew. Jenni Field: Because I guess people don’t feel like they have the time to learn. Leigh Olson: Right. That’s such an interesting thing to think about. The fact that we do consume these recipes one at a time rather than trying to build that technique and understand that this technique can be used over and over in multiple applications. Jenni Field: Well that that’s really the reason that I started blogging was to teach these overarching techniques and I have a lot of that you know, a lot of my older posts are they focus on techniques and you know, what ingredients do in, in your baking and that sort of thing. And I found that people weren’t quite, I mean there are always going to be people who are interested in that, but the vast majority of people just were looking for a recipe. They didn’t want to necessarily learn how to make a cake, generally speaking, they want to learn how to make this one specific cake. Leigh Olson: You’re right. As a recipe developer, you have to make sure that that one specific cake is successful for that one specific person coming to your site. Jenni Field: I used to get kind of annoyed, you know, and and like, why don’t you people just want to learn how to make a cake. But then I realized, you know, this isn’t about you. People aren’t out on the Internet searching for you. They’re searching for an answer to their questions and they’re searching for a recipe that is going to solve their problem of “how do I make a particular cake for a particular occasion.” And so now I sort of take it as a challenge to be that one stop shop for people to be able to write a recipe that is so detailed that if they follow it, that they will be successful. And I try to anticipate any questions that they might have and try and help them troubleshoot before anything goes wrong. Leigh Olson: Well, I think it’s so important now that we don’t have a lot of heritage that we’re passing down to our children. It’s not something that you hear much anymore standing by your mother’s knee and watching how she did this or that or your grandmother’s knee. So I think that it’s a very important service that, that you provide to people. Jenni Field: Well, I hope so. I feel like a sense of obligation. Like if somebody is going to go out in the Internet and search for a recipe and they’re like, “oh, this is it.” And they come to me and I let them down because it’s not what they were looking for, or I don’t explain everything that I have lost at blogging. Leigh Olson: I think that that’s a really beautiful way to approach that. And I, I think that you are actually extending yourself into the homes of other people and that you do understand what their expectations are and that it is important for them to be successful. Jenni Field: Yeah, I, it’s just, it was a whole, it had to be a mindset shift for me though, because at first I just was so grumpy, you know, and then I was like, no, people are trusting me so I need to come through for them. Leigh Olson: I love that. Leigh Olson: Coming up after the break. Scary, scary. Basements, electric trains and taste memories. Sponsor Break: This episode of The Heritage Cookbook Project podcast is supported by Bob’s Red Mill. When you’re making those treasured family recipes, don’t leave the quality of your ingredients to chance. 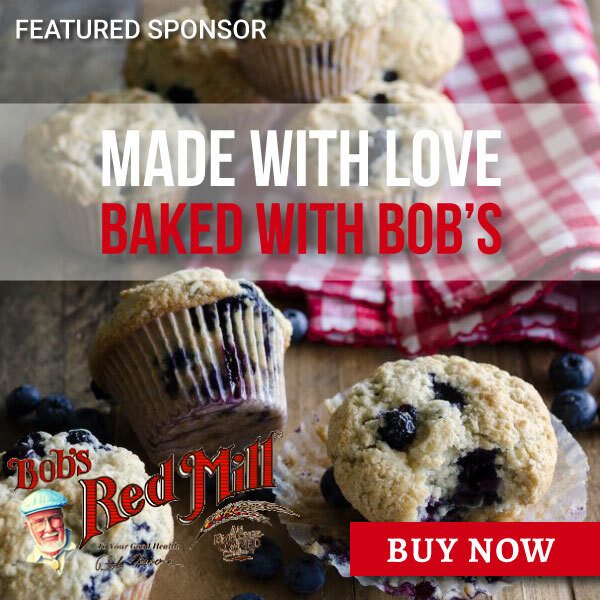 Visit bobsredmill.com to find out more about this employee-owned company, their products and how you can fill your pantry with them. With their products, not their employees. Jenni Field: The, the version that my Auntie Ev and that my mom make. And that is also my favorite of course is the one that I grew up eating. And in the headnote for that recipe. In this older copy of Joy that I have, it says, and I quote “many, a copy of Joy has been sold on the strength of this recipe alone,” which that’s, that’s like a big bold statement, right? Jenni Field: There’s like hundreds and hundreds of recipes in the Joy of Cooking, but people are buying it for this one recipe and like, perfect, they’ll never change this recipe. So then I got a newer copy of Joy of cooking back in the ’90s. It was like ’97, ’98 something like that. And I went to go make the angel slices from that recipe and they had changed the recipe and it still said many. A copy of joy has been sold on the strength of this recipe alone. I was like, Dude, you changed the recipe. How could you possibly do, do that? So, um, I don’t like that version as much. Leigh Olson: So how did they change the recipe in the later version? Jenni Field: Well, first of all, they made it in a smaller pan, which I don’t know why. I don’t know why you wouldn’t want a 9 by 13 pan of deliciousness, but they made it for a 9 by 9 pan and they added some butter to the glaze, which completely changes the, the nature of that bright lemon and the crunch. Jenni Field: And part of the, the beauty of that recipe is that the icing is thin and crackly on the top. And if you put butter in it, it loses the crackle. And it also mellows out the sharpness of the lemon. So it’s a completely different experience. Not nearly as good as far as I’m concerned, but there might be people who grew up with that version who wouldn’t like the original. But for me, I liked the original version. Jenni Field: I think that they just decided, decided to tinker with it just because they’re like, you know what, let’s see if we can’t make all these recipes better, but maybe they forgot that taste memory is super important to people. Jenni Field: You know, in altering a recipe. Even just a little bit can be the same as like taking a memory away from you. Leigh Olson: That is such an amazing point. Talk to me a little bit more about taste memory. Jenni Field: We’ll people will spend decades of their life trying to recreate grandma’s fudge or their aunt’s, I don’t know, cake doughnuts or something. Even if I find the exact combination of ingredients and the exact technique to give them exactly what they remember, it’s still not going to taste the same because that person isn’t making it for them. So it’s all wrapped up in emotion and memory and you know the taste and aroma as well, but you can’t really separate one out from the rest. It’s just a whole. Jenni Field: But I think at the end of the day when you lose a person that used to make something specific for you, that part, that search for the recipe is trying to get that person back, you know, a piece of that person. So it can be kind of bittersweet. Leigh Olson: And on the topic of memories, this is what Jenni had to say about her fondest memory of Angel Slices. Jenni Field: It’s hard to say because every time I have them, they’re the best. Every time. 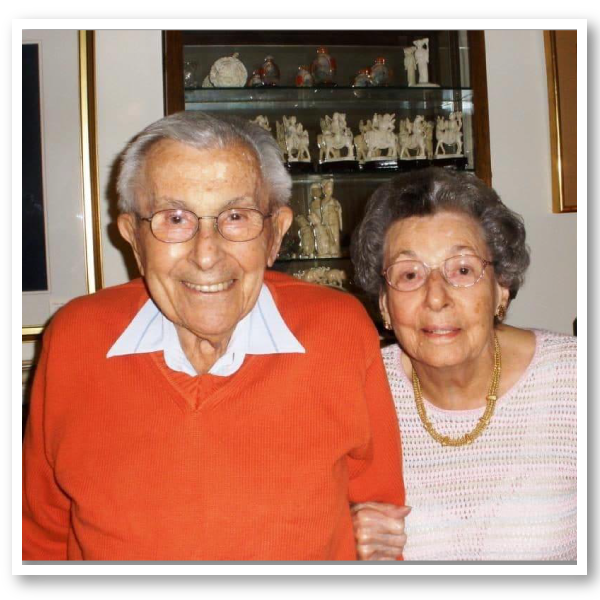 Jenni Field: I remember when we used to go to see Auntie Ev and Uncle Ray, we would go to stay for a good week and a half with them at Christmas time. We would drive up and um, Auntie Ev used to keep all of the tins of cookies down in the scary, scary basement in the freezer. And we were the two youngest, my brother and I, we were really the only kids. Everybody else was more or less grown and um, we would sometimes sneak down into the scary, scary basement to, you know, like open a random tin and grab a cookie out. So they were so good that we would brave the scary, dark basement to get those cookies. Leigh Olson: That’s cute. What was some scary about the scary dark basement? Just that it was scary and dark. Jenni Field: Well, basements are just scary in general, you know, unless it’s a finished basement. This was like a partially finished basement, but it’s still kind of had that cold going-down-into-a-tomb kind of feeling to it. Jenni Field: Um, they did have down there this train set that was on like a big piece of plywood that I guess Uncle Ray had worked on with his son Ken, um, and it was an I guess an h o the little trains, not like the bigger version, but the, the small electric trains and again, from decades ago. And they had this whole thing set up the track and they had hills and there were buildings and things would light up and it was just, you know, even the call of that train set, which was pretty awesome train set, still it was in the scary basement. And we’re like, well we can’t go down there and play that by ourselves. We have to wait until some adult we’ll go down there with us because I dunno, basements are just scary even with trains. And even with the cookies in the freezer. 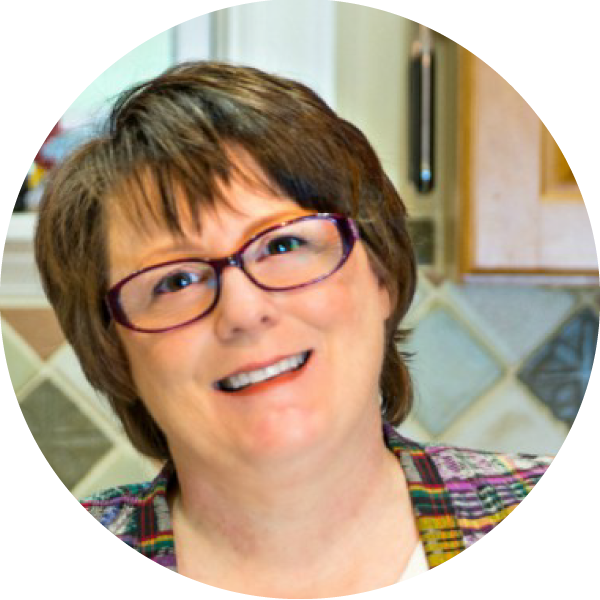 Leigh Olson: When I asked Jenni what sagely advice she would give to those of you who want to make the angel slices recipe, her desire to ensure that you have the most successful experience possible becomes absolutely evident. Jenni Field: Be patient and let them cool all the way. So you have nice bright white glaze on top instead of Beige glaze. Um, they will still taste as good, but they just won’t be as like strikingly pretty, um, if, if you don’t wait for them to cool. Um, also they’re super easy to make. I on purpose made them this time without even pulling out the stand mixer. I just used a hand mixer. You could probably even make the cookie dough shortbread portion with a wooden spoon if your butter is soft enough. Um, and then you press that into the pan, bake it for a few minutes until it sets up. The filling, literally dump everything in a bowl and stir it together until it’s uniform and you pour that on top, bake it, let everything cool. And I didn’t consult Joy. I just threw some powdered sugar in a bowl and then squeezed lemon juice in until the glaze was about like Elmer’s Glue kind of consistency and then just dumped it on top and spread it out with an offset. Jenni Field: And it’s a really thin layer. You don’t want a ton of that glaze because that lemon could overpower that sort of wonderful butterscotchy, pecany filling. Um, because it’s a stronger flavor. So you just want to really, really thin layer. So I think I probably ended up with, maybe I didn’t measure it, but maybe a cup and a half of the glaze to spread all the way across a 9 by 13 pan and it’s a very, very thin layer, but it shines through so you don’t, don’t look at it and go, oh my goodness, I don’t think that that’s enough glaze and then make more and put it on there. And then you kind of like lose the balance. If the lemon were too thick, then you wouldn’t be able to taste this wonderful, mellow, nutty coconuty goodness in the center. There, there one of the things that I liked so much about the bar, and I guess it’s part of what I liked about it when I was a kid, but I couldn’t name it, but it’s just like there’s tons of different textures in one little bar. You’ve got this wonderful short crumbly shortbread kind of base. And then this sort of chewy with a little nutty like mellow crunch layer and then this sharp crack of this crisp glaze on the top and all of those textures together are just magic. Leigh Olson: Yum. That sounds so good. Jenni Field: Yeah, they are delicious. I highly recommend that you make some at your earliest possible convenience. Leigh Olson: Awesome. Thank you. Thank you so much, Jenni. I so appreciate this and I have loved our conversation. Jenni Field: Thank you for talking to me and thank you for letting me share the angel slices with everybody. Leigh Olson: If people want to find you, how do, how do they go about finding you on the web? Jenni Field: The blog is pastrychefonline.com please come and visit. You can also find me on Facebook, um, Pastry Chef Online or make friends with me. I am Jenni with an “i” dot Field. I’m on Twitter at pastries c h o f online. I’m on Instagram @onlinepastrychef. I’m on Pinterest at online pastry, c, h. F. I’m all over the place. Come find me. Leigh Olson: And do go find her. She, if you have questions about pastry or cooking, Jenni’s got answers for you. Leigh Olson: Thank you for being here with us today. 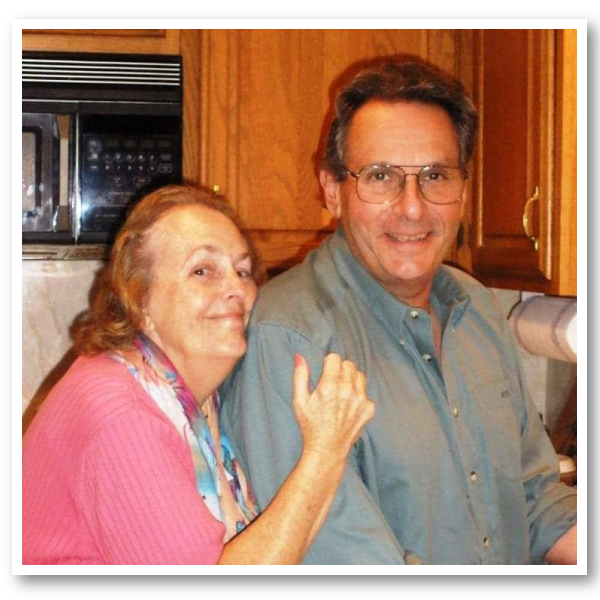 Leigh Olson: If you enjoyed hearing Jenni’s memories about Angel Slices and want to hear more stories like this, please subscribe wherever you get your podcasts. And if you could take five minutes away from the mixing bowl and leave a rating and review, it would help us to reach more people. The full recipe for Angel Slices can be found at theheritagecookbookproject.com and don’t forget to register for access to the printable cookbook pages. Thanks. Oh, and the artwork on the original Joy of Cooking was done by Irma Rombauer’s, daughter Marianne Rombauer Becker. It’s an illustration of Saint Martha of Bethany, the patron saint of cooking. In the debut episode of The Heritage Cookbook Project Podcast we talk about a recipe whose popularity has been attributed with selling “many a copy of “Joy” [of Cooking]” as well as making two small children courageous enough to brave the scary, scary basement. 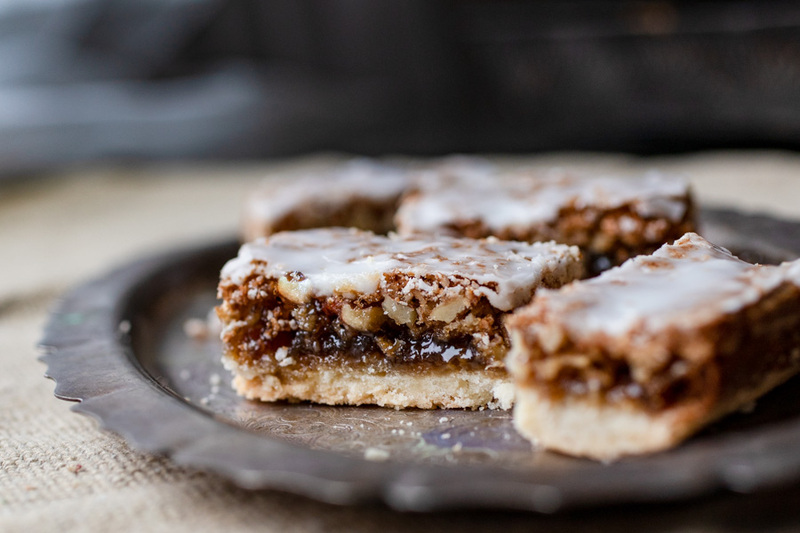 I connect with Jenni Field, from Pastry Chef Online, who shares her philosophy about recipe development, how altering a recipe can have an unintended effect on our taste memories, and one of her favorite family recipes, Angel Slices. After listening to Jenni’s description of these pieces of deliciouness you’re going to want to make the Angel Slices for your family or friends or both. Jenni’s Uncle Ray and Auntie Ev and photo of her mom and cousin Kenny. This recipe is said to have sold "many a copy of Joy of Cooking", for Jenni Field it is recipe that brings back memories of her Aunt, Christmas, and scary, scary basements. With a stand mixer or hand mixer on low speed, beat the butter for 30 seconds until creamy and whipped. Add the flour mixture to the butter mixture in three parts, mixing well after each addition. Pat the dough evenly into a 9 x 13 baking pan. Bake for 15 minutes. In the meantime, in a large mixing bowl combine the filling ingredients stirring to combine. Pour over the crust and bake for 25 minutes. Cool completely. Remember this is an important step to ensure that your bars look as beautiful as Auntie Ev’s. In a large mixing bowl combine the powdered sugar and enough lemon juice to create a spreadable glaze. Jenni says it is about the consistency of Elmer’s glue. Spread over the completely cooled bars and cut into 1 x 2 inch oblongs. Taste memory is super important to people, and altering a recipe, even just a little bit can be the same as taking a memory away from you.